DUI, OWI, DWI and Drunk Driving. All of these are popular slang terms for the criminal offense defined in Indiana as "Operating a Motor Vehicle while Intoxicated." The threat of being convicted for DUI is a very frightening, and serious, situation. One may be facing jail, heavy fines and the loss of driving privileges. You need someone with experience looking out for your rights. Thomas Blackburn has over 20 years of courtroom experience defending Hoosiers charged with violations of DUI laws. The criminal penalties for DWI can be quite severe. Depending on the circumstances of your case, and your prior history, you can go to jail for up to three years. This jail time can be increased up to twenty (20) years if you are accused of hurting or killing someone when operating a vehicle while intoxicated. In addition to a long jail sentence and heavy fines, a drunk driving conviction can have serious consequences for your driving privileges. Depending on your driving history, a drunk driving conviction can result in your driver's license being suspended for up to ten (10) years if you are declared to be a habitual traffic violator. One can only imagine the devastating consequences of a ten year license suspension of one's job, family and ability to function in society. It is important to retain legal counsel as soon as possible if you have been accused of drunk driving. 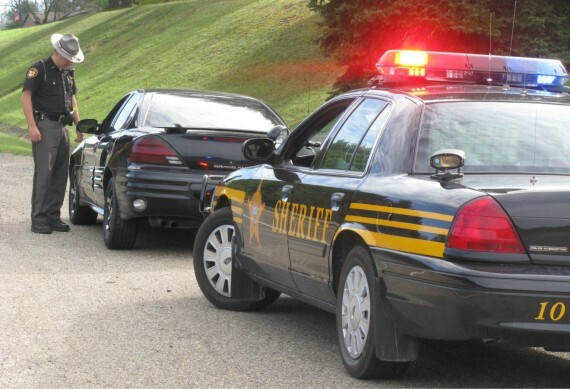 In Indiana you can and will face legal punishment after your DUI arrest before you have been found guilty of any offense, or even had an opportunity to defend yourself at trial, if it is alleged you had a blood alcohol concentration of at least .08% at the time of your arrest. This Pre- Conviction punishment is even worse if the State alleges you refused to take a chemical test. This punishment comes in the form of a suspension of your driving privileges and is often referred to as an "administrative suspension". If you, or a loved one, have been accused of operating a vehicle while intoxicated it is important that you act now. Take advantage of the expertise and experience offered by Blackburn Law Offices.